ErinChris Photo Blog: WPPI was a blast! Ok it's definitely time that I catch up on blogging. The past week was a whirlwind of fun. I was so lucky to be able to make it out to Vegas for the WPPI convention which draws a ton of really talented photographers from all over. I was so grateful to be able to meet so many of them from around the country! Thanks so much to Armin who brought me as his guest =) He introduced me to a great group of photographers he knows from DC at the Pictage party on Monday night. 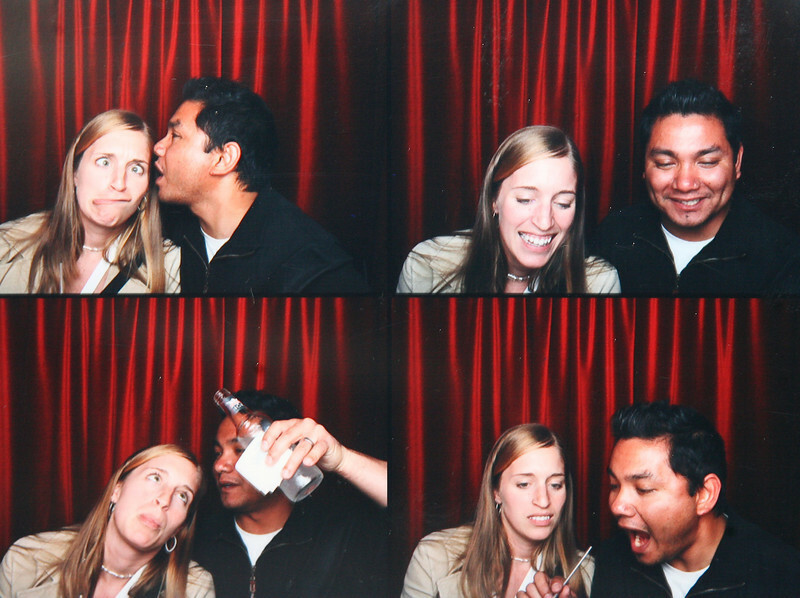 There was also a photo booth that was a great addition to the party! This was just the beginning of the night. Kenny Kim ended up with the majority of the pictures from the photo booth, so check his blog for them. Hopefully he will post them soon. Becker posted another one on his blog too! 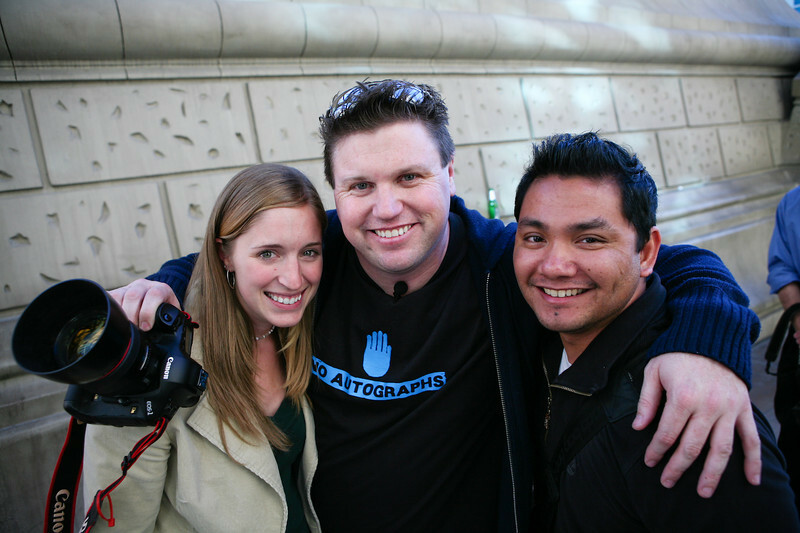 =) Then the three of us outside the Paris hotel after Becker took our headshots. Becker will be posting the headshots soon on his [b] school blog. It seemed like a lot of people had flight issues on their way out to Vegas, whether it was getting stuck at a layover or luggage not making it. But after travel issues, I finally got a chance to meet up with Mary Beth Tyson who is a really talented photographer from Florida. I had so much fun hanging out with her and her super cool group of friends and fellow wedding photographers: Kimberly Jarman, Amy Martin, Jennifer Bowen, and JT. It was great meeting you guys! Sadly between all of us, we didn't get a group shot. 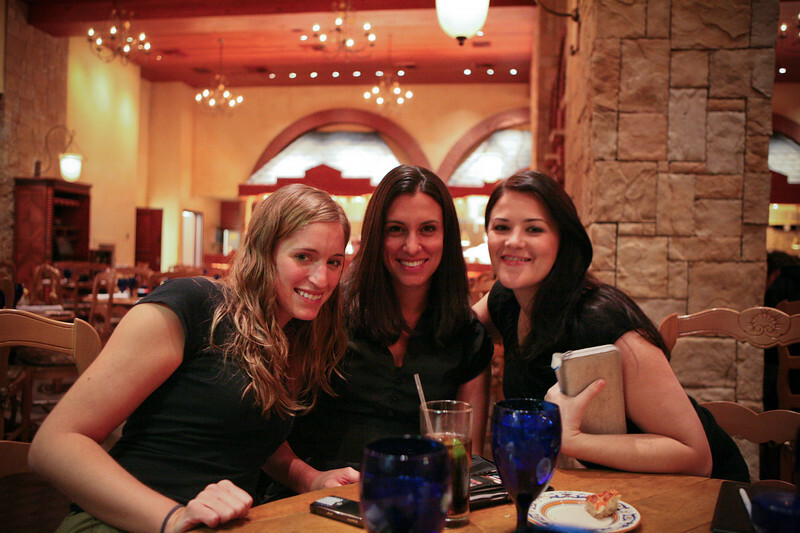 But here is one Armin took of me, Mary Beth, and Amy at lunch. The 4 days out in Vegas were jam packed with fun and new friends. What an amazing experience! Great meeting you!!! 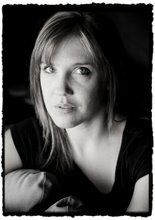 I LOVE the image of you on Armin's blog! Erin! It was great meeting you. I hope to see you again soon. Good Luck with your adventures. YOu are WELL on your way! Great post, bummed I did not go this year, but plan on it next year for sure. Look forward to hearing what you learned with next months get together. Erin, next time you feel like freeloading on someone, pick someone else okay? ... haha, just kidding. Loved having you. WPPI 09 baby! Hi Erin! It was great meeting you and sharing dinner at PF Chang's that night! You look like you are doing great! I love the photos from WPPI. I can't wait to go for the first time this year.